President Donald Trump agreed this week to put healthcare on the backburner until after the election, but he made it clear on Tuesday that he wasn’t happy with Republicans and their seeming cowardice on the issue. At the annual National Republican Congressional fundraiser, the president said that while he conceded to Mitch McConnell that they would hold off on another repeal-and-replace push until after 2020, he warned the congressmen in attendance that they were courting disaster by ignoring the elephant in the room. Trump said there was no room for Republicans to be flummoxed when asked for a solution to the thorny issues of healthcare. Trump said that while Republicans have the upper hand when it comes to the border, the military, the economy, and taxes, they were letting Democrats run away with healthcare. That alone, he said, was enough to give them a major boost in 2018. In his speech, President Trump was frank about his lingering disappointment that Congress couldn’t repeal and replace Obamacare in his first year. 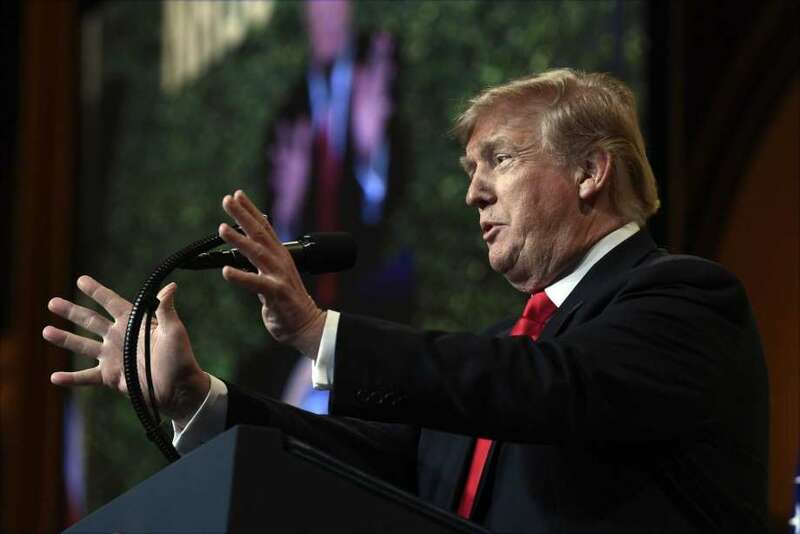 Last week, after the Justice Department opted to support a court ruling undoing the Affordable Care Act in its entirety, President Trump was excited about developing another piece of legislation to replace the Obama-era law. Soon enough, however, the Senate Majority Leader told him it was a no-go in his half of Congress. The fact remains that there are still a great many Republicans in Congress who were elected – in large part – because of their vehement opposition to Obamacare. Now some of that pressure is off due to the elimination of the individual mandate, but ACA premiums continue to rise. Stratospherically, in some instances. If Democrats can somehow blame those rising premiums on the GOP, they might have a winning issue in 2020. Nevermind that it doesn’t make sense, either. In politics, perception is reality.